Getting a great, affordable deal on an SUV or luxury SUV may seem too good to be true. But there’s never been a better time than right now to buy SUVs at reasonable prices – and that’s because, as Bloomberg reports1, many dealerships are being left with excess inventory due a combination of market demand shifts and an overproduction of SUVs by manufacturers. If you’re in the market for an SUV of any kind, acting now could save you substantially. Here’s what you need to know about SUVs and luxury SUVs: why they’re more affordable now and how you can find the best deals. What’s the Difference Between an SUV and a Luxury SUV? Luxury SUVs are typically sports utility vehicles with premium features that go well above and beyond the basic necessary function. High-end materials, like wood and leather, are often incorporated into the interiors of luxury vehicles, as are premium sound systems and other advanced infotainment features. Enhanced safety features, such as adaptive cruise control, are also usually found on luxury models but not the average SUV. Luxury vehicles also tend to involve a special performance component. Many, though not all, luxury SUVs feature powerful engines and perform beyond the level of a basic SUV, Consumer Reports writes2. Performance SUVs often include enhanced transmissions, suspensions, and braking for a smoother and more responsive driving experience. If you want an SUV, now may well be the best opportunity you’ll ever have to get a significant deal on one. Two developments in the auto marketplace have combined to put considerable downward pressure on the prices of new SUVs. The first is the fact that off-lease used SUVs have become widely available over the last two years, The Chicago Tribune reports3, giving buyers access to low-mileage, relatively “new” used vehicles. 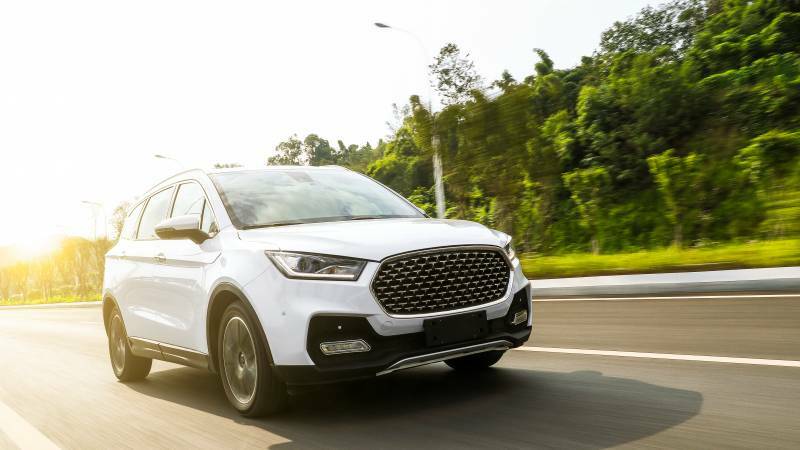 The second is a more general phenomenon in the auto market, which is the shift in consumer demand away from sedans and towards SUVs, as Forbes notes4. This shift has left many automakers producing more SUVs while competing fiercely for customers. 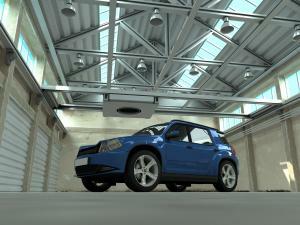 Combined, these two effects have created a new wave of SUV inventory and creative financing options. 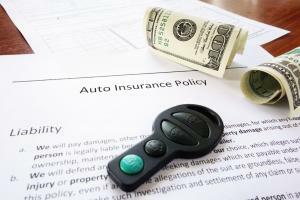 This situation has led manufacturers and dealerships to offer various deals that bring down the monthly payments on new SUVs. For example, U.S. News reports5 that Jeep is offering 0% financing for 60 months and up to $3,750 bonus cash for one of the Jeep Compass resulting in about a $200/month payment. Getting into a Mazda CX-3, according to U.S. News6, can be as low as only $199/month with a low down payment. The current deal on the new Toyota RAV4 will get you on the road for as little as $219/month. On the luxury end, U.S. News7 points out that a Jaguar F-Pace falls in about $499/month, the BMW X1 at $339/month, Acura MDX at $419/month and Land Rovers starting at $399/month at the current financing deals, according to U.S. News. Between cash incentives and low financing rates, deals such as these are popping up all over the place forcing every manufacturer to compete and offer more attractive discounts almost every month. 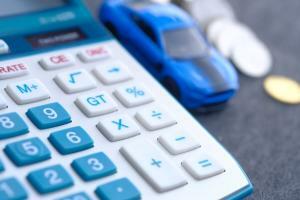 Even though SUV manufacturers and dealerships are offering considerable deals on their inventory, you’ll still have to do some work to find the best prices. Searching for deals online is often the best option, as it allows you to see both manufacturer and individual local dealership incentives, as well as compare the offers that are available on different models of SUVs. In addition, many deals are placed online exclusively in order to reach a broader range of potential customers. To save even more money, you can also wait for dealerships to discount unsold inventory. Keep an eye out at your local dealerships to find out when inventory clearance sales are occurring. If you can make your purchase during one of these sales, you can save hundreds or even thousands of dollars. If you’ve always wanted to drive an incredible new SUVs but never thought you could afford one, right now there are opportunities to save big. The auto market is making SUVs more affordable than usual – but this climate won’t last forever. You need to start looking for deals now if you want to take advantage of the available incentives; odds are they won’t last long. Interest in the latest offers on SUVs? Start a search today.